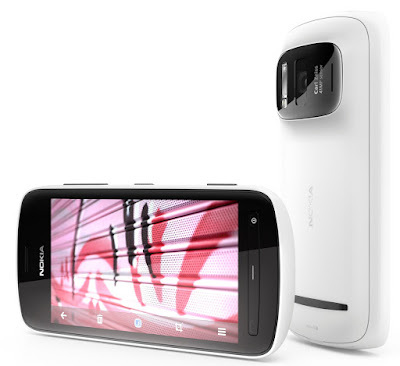 February 2012 saw the end of an era with the launch of the Nokia 808 PureView - the final Symbian phone to be launched by Nokia. Marking the end of nearly ten years of handsets, starting with the Nokia 7650, Symbian dominated the smartphone market in the later noughties with devices from Nokia, Samsung, Motorola, Sony Ericsson and other manufacturers taking up to two-thirds of the market. One year before the launch of the 808, the current Nokia CEO Stephen Elop announced a switch from Symbian to Windows with the result that Symbian sales fell off a cliff. To be fair, Symbian was struggling against Android and iOS in any case and the 808 was actually something of a surprise given that Nokia had launched the Windows-based Lumia range just a few months before. But the Nokia 808 PureView was no sad swansong as it was, and remains, one of the most awesome camera phones ever made. Stuck in a prominent lump on the back of the 808 is an astounding 41 megapixel camera sensor, with the addition of Carl Zeiss optics and sophisticated image processing hardware which completely outclassed absolutely every other cameraphone - and indeed many dedicated digital cameras - on the market at the time. With a big lens and a big camera sensor, the 808 could do all sorts of clever tricks. It could either oversample the image to give a conventionally-sized 5 megapixel image of exceptionally high quality, or it could give larger images of up to 38 megapixels, or it could use the high pixel count to simulate optical zoom digitally. In addition, the 808 could capture 1080p HD video which was very rare for the time. As a smartphone it was pretty capable too. The operating systems was the final and best version of the Symbian OS called Nokia Belle. Inside was a 1.3GHz processor with 512MB of RAM, 16GB of onboard storage plus a microSD slot, with a 4" 360 x 640 pixel AMOLED display on the front. There was also an FM radio, FM transmitter, GPS, WiFi and HSDPA support plus all the other features that you would expect in a smartphone at the time. Priced at €600, the Nokia 808 PureView was a fair wedge of cash but it gained an enthusiastic although pretty niche following. The fact that Nokia's PureView technology ended up in a Symbian phone at all was mostly due to the massive amount of time it took to engineer the thing, and an improved version of the PureView camera was launched in the Windows-based Nokia Lumia 1020 announced a year and a half later. In different circumstances, the 808 could have been a game-changer for Nokia but Symbian was effectively dead at this point and that must surely have counted against it. However, today the 808 is something of a collector's item with prices ranging from between €150 to €500 depending on condition.This certainly makes it one of the pricier retro mobile phones on the market! Less than 500k units sold but having it's own cult (with me as one of followers). A great phone indeed.